There are many reasons families loose touch with one another. From family arguments to geographic distance the reasons can be various but sometimes after time has passed families sometimes want to reconnect and get back in touch with one another. 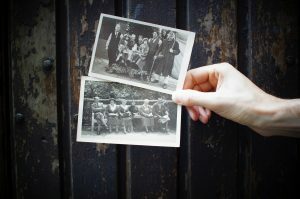 Every family has a long lost relative that they may wish to reconnect to and get back in touch and that is where a family tracing agent can help in the search for their loved one. If you are ready to find that long lost relative and start to reconnect with them follow these simple five steps to locate your missing relative. This is probably the most important stage as this is the foundation of the search and the information that any researcher will base their decisions on so it is vitally important to only use verified and confident information. One does not want the risk of eliminating matches of people based on incorrect information, so be very cautious to only include what you know to be correct. Add information such as the following, where the family relative lived, old address for the family member, old phone numbers for the relation and date of birth if it can be remembered. Tracing Agent Tip: Before you start searching and tracing for your family relation, verify and check all the information you have. Incorrect information will hinder your search and decrease your chances of locating them. Searching on social media sites such as Facebook are an excellent way to locate a missing family member as they offer a fast way to reconnect to the relative if you can locate them on the social site. The largest social media site Facebook is probably the best place to start, with over 80% of adults listed on the site the relative will probably have an account with the social site and if you can locate them it will be a very fast way to reconnect by sending an invite to connect and communicate with them. Even after the closing of many search features on Facebook it is still possible to search with name, locations or groups. LinkedIn is another great place to search especially if you can remember your relatives work history and then you can attempt to locate them and reconnect with them via the social site. Tracing agent tip: Some searches can be completed simply by talking to the right people. Start by using Facebook to talk to friends and relatives who might have had (or even still have) contact with the person you’re looking for. Genealogy research can often point you in the right direction if you’re drawing a blank elsewhere. By doing some further research you may uncover further relatives who may know the whereabouts of the family member you are trying to reconnect with. We perform searches every day and resolve most cases in 24 – 48 hours and always on a no trace no fee basis for family tracing services. Our family tracing datasets are not available to the general public for self searching which allows us to resolve your case fast and rapidly for a low contingent fee. Put simply tracing agents have access to information that you cannot access which makes your search far harder.